There is no dispute that the storm dramatically changed over time, and the weather predictions initially underestimated the severity of the storm, thus there was a higher level of resulting damage, which could be expected. The Northeast utilities, from Rhode Island to Maine, were seriously impacted by this storm. The responsiveness of the impacted utilities and ability to restore power in a timely manner were directly related to how rapidly each company recognized the storms strengthening and the overall effect it would have on the electric system. National Grid, unfortunately, failed to recognize the expanded impact of the storm in a reasonably timely manner and, therefore, neither classified the storm event properly nor took action in a manner that would allow it to have adequate resources in place at the time they were most needed. This resulted in an extended restoration duration of as much as 36 hours. National Grid’s storm report characterizes the final restoration time much earlier than the actual facts support. Our report documents how we reached the conclusion that National Grid’s full restoration was 36 hours beyond what it should have been. 1. National Grid failed to have redundant weather analysis processes that recognized the increased intensity of the storm and the outage impact it would have. 2. National Grid failed to make rapid adjustments within the Emergency Response Plan(ERP) to assure the needed resources were onboard. 3. National Grid never identified and communicated internally or externally the maximum Incident Level classification. 4. National Grid’s failure to properly classify the type of storm and outage event resulted in communications of overly optimistic restoration times, both internally and to the public. 5. National Grid’s slow reaction to the changing events and storm magnitude allowed other utilities in New England, such as Eversource, to secure regional mutual aid resources for storm restoration first, leaving National Grid with securing more of its resources from greater distances. Thus, National Grid did not have maximum resources on the system within a reasonable time after reaching the peak outage level. 6. National Grid’s inactions in adjusting storm classification and internal communications concerning storm and outage severity was the main cause for the significant delay in acquiring resources, which resulted in as much as a 36 hour delay in the full restoration of power. 7. Even at this time National Grid, based on its Summary Report, apparently believes its full restoration occurred earlier than the factual data supports. There were crews working on power restoration after the time National Grid represents is the final restoration date and time. This type of disconnect between the facts and National Grid’s belief is a further indication of a flawed and broken communication and data processing system. 8. National Grid’s February 1, 2018 report barely meets the minimum requirements of what we consider an adequate storm assessment summary. National Grid is provided 90 days to produce the report, which is excessive considering that comparable utilities produce robust reports in as little as two weeks. National Grid must accelerate and enhance its storm reporting, which should be delivered within 45 days following a major event. 9. 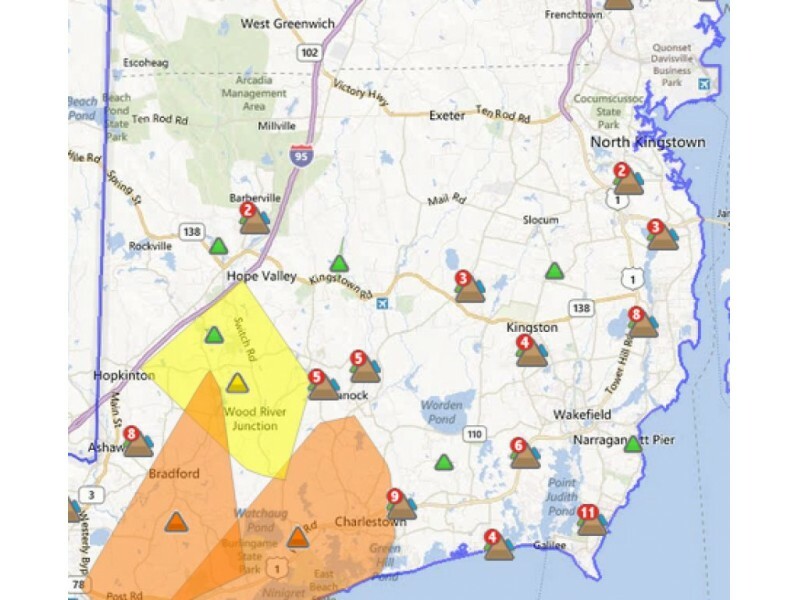 Absent changes by National Grid in numerous areas as recommended, our opinion is that Rhode Island electric customers will continue to have delayed outage restoration as compared to other regional utility customers, combined with unnecessary inaccuracy in estimated restoration times being communicated. 10. National Grid must put forth a plan which documents how it will make adjustments to avoid future storm event classification errors, and incorporate a process in the ERP to categorize events and rapidly recognize and adjust to changing storm and outage circumstances while not being the last utility to successfully acquire needed mutual aide resources. Lastly, National Grid must specifically describe how National Grid implemented each of the Division’s Directives, resulting from the November 20, 2012 Report and Order related to Tropical Storm Irene, to include a current update for each Directive as opposed to the report provided by National Grid that was prepared nearly five years ago. “Rhode Islanders deserve better service from National Grid. I ordered this investigation in October because I saw residents in neighboring states get their power back soon after the storm ended, while Rhode Islanders had to wait days. “The delay was not because crews weren’t working quickly enough, it was because Grid’s management failed their customers. They failed to communicate. They failed to adapt. “To ensure that National Grid takes action on these recommendations, I’ve directed DPUC to require the utility to provide monthly progress reports.